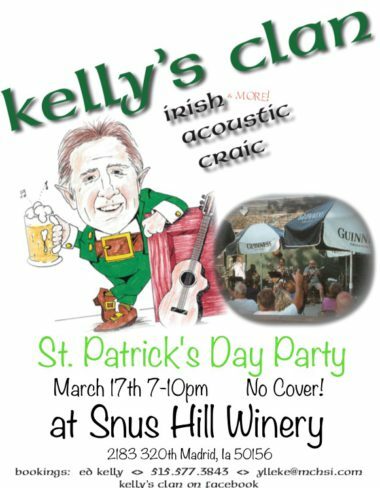 Join us for green wine and tunes from Kelly’s Clan. This Des Moines based band will add a Celtic musical touch from Eire to inspire “Ol, ceol agus craic” (a good pint, great music and wonderful entertainment) this St. Paddy’s day at the winery. All of those useless facts you have collected are finally going to come in handy. Radio personality Jimmy Olsen will host Snus’ first trivia afternoon. Gather a group of friends and call the winery (515)795-3535 to register your team. Please register your team by Friday, Feb 17th. No fee to enter. There will be prizes! 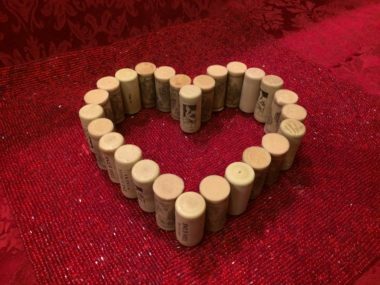 Grab your sweetie and head over to Snus Hill Winery for live music from According To Hoyle. There is NO COVER for this event! Ready to flex with Frontenac? Get swol with Sven? Wine workouts are back after a holiday break! Join BOM Fitness and Snus Hill for a light and fun workout guaranteed to challenge your idea of fitness! Whether you’re looking for a fun way to mix up your workouts, a date night, or a ladies night, this is an event you don’t want to miss! Who wouldn’t want to stroll through CENTRAL PARK? You won’t want to miss out on this night of painting, fun and friends at SNUS Hill Winery. Register today for Thursday, February 16th at 6:30 pm. Enjoy great wines from Snus, and bring some snacks if you’d like to enjoy while painting. Get some friends to join you for the fun! Our artist will walk you through each step making it fun and easy to create your “masterpiece”. Customize with your color choices! Please arrive 15-20 minutes prior to start time to check in, find a seat and choose your paint colors. HAPPY PAINTING! 20% off all wine and merchandise this weekend! We’re celebrating the Year of the Rooster with specials in our tasting room.